Hallo Raja Tour Bandung Buddies! Now we talk about nature, who you guys really loves nature and hiking you have to try this! 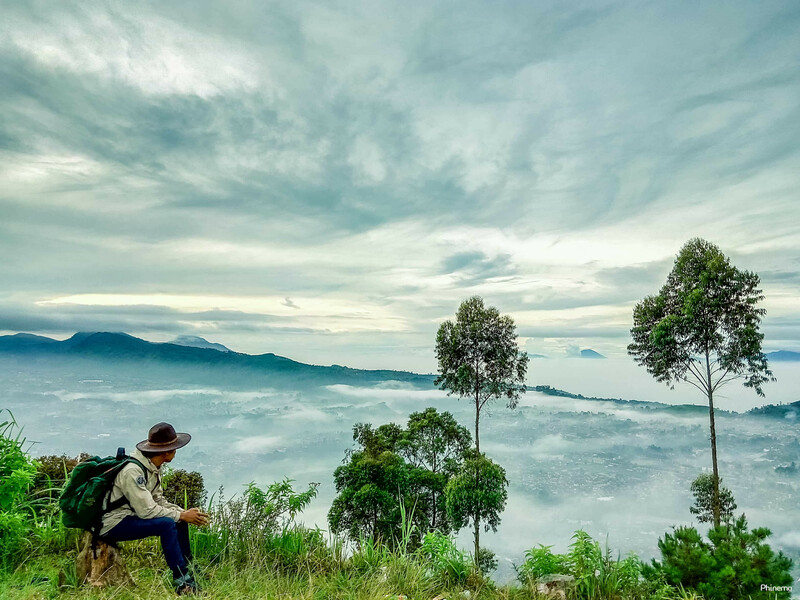 Gunung Putri Lembang is a beautiful and refreshing natural mountain tourism destination with easy access to get there, that’s why gunung putri become the good place to spend the holiday. Around this mountai there are the trees, at the top right in the middle of Mount Putri there is a popular monument called the sespim monument. This place is also very suitable for beginner climbers because the Gunung Putri Lembang track can be relatively used as an exercise. Besides being able to enjoy the typical mountain refresher air, our eyes will be spoiled by the exoticism of Bandung’s view that looks beautiful from a height especially at night, because the sparkling lights of the city of Bandung lie very beautifully in front of the eyes. For the entrance fee, you must pay Rp. 7.500/pax. Form the guardhouse, it tooks 20-30 minutes to climb and finish at the monument. For those of you who like to take pictures of natural scenery from a height, this is a must for you. But this will be better to camp at the afternoon so we can see the sunset and for the next day the sunrise will see in the right time at the morning. This is the perfect place to spend the holiday for who really need vacation in the short time. But don’t leave the garbage and bring down the garbage to throw it in the trash. This entry was posted in Articles and tagged Gunung Putri Lembang.